Lionel Messi and Marcos Rojo celebrating a goal for Argentina. 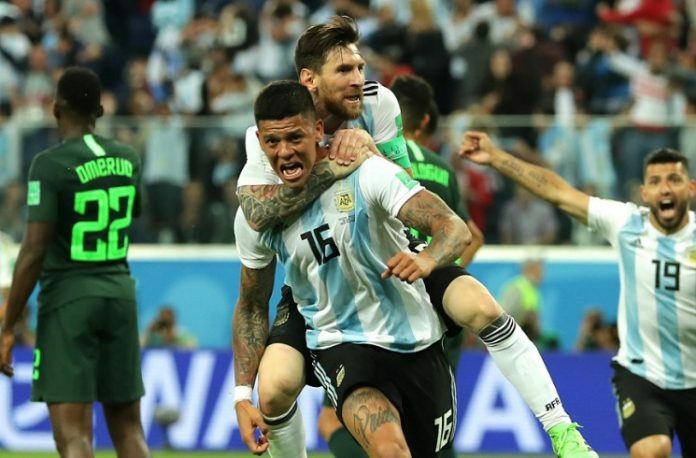 Goals from Lionel MESSI and Marcos ROJO were enough to keep Argentina at the FIFA World Cup. It wasn’t an easy match. It wasn’t supposed to be an easy match but no one would have predicted the way things panned out. 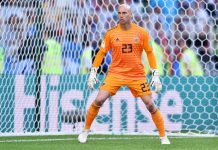 The Albiceleste needed a win and for Iceland not to defeat Croatia in the other match in the group and some how, some way, the stars were aligned properly and Jorge SAMPAOLI’s men got the win. 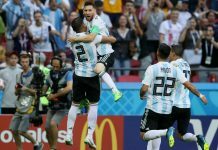 A first half which saw Argentina dominate possession and possibly play their best half at the World Cup also saw Lionel MESSI score his first goal at the 2018 FIFA World Cup. A fabulous pass deep from midfield by Ever BANEGA, a touch off the knee by MESSI and a right footed finish put his country ahead. Lionel MESSI was up and running. The captain nearly added a second when his free kick hit the post. It was 1-0 going into half time. Javier MASCHERANO (who, depending on who you ask either played well or had a terrible game) gave away a penalty very early in the second half. Victor MOSES scored in the 51st minute and suddenly Argentina were not looking as comfortable. Cristian PAVON came on for Enzo PEREZ, Maxi MEZA for Angel DI MARIA and Sergio AGUERO for Nicolas TAGLIAFICO. Jorge SAMPAOLI went all in. Nigeria nearly added a second but a great stop by golkeeper Franco ARMANI kept the score at 1-1 and his country still in it. The Nigerian’s were looking for another penalty after Marcos ROJO won an aerial duel and the ball hit his hand but the referee said it wasn’t a penalty. Gonzalo HIGUAIN had a fantastic opportunity to make it 2-1 but his shot went high and wide. Cristian PAVON received the ball who passed it out wide to Gabriel MERCADO as he sent in a low cross to find Marcos ROJO who’s right footed shot found the net and the celebrations were under way. It was goal number two at a FIFA World Cup for Marcos ROJO with his first one coming against Nigeria in Brazil. Way For Round of 16. Argentina will play France in the next round. Vamos! Go ahead my team! Just enjoy the game, no pressure. We the real fans r always with u! Vamos! Congratulations to all of us … but We need to highly improve … We did not create real chances … only magic moments..! We need a composure to play as one unit …. good luck for the next match …. against France ….vamos Argentina… I will stay optimistic… but ………………………. Let’s next hope for a Messi vs Ronaldo face off in the quarters with Messi coming out in flying colours with a hatrick. I thought Enzo had a really solid first half. Nothing flasby but really helped dampen Nigeria’s attack. The second half was not good after the goal and I think his fitness gap kicked in by 60 mins in. Thank u Banega, Messi, Rojo, Pavon, Mercado, armani, Higuain, everyone. Even I forgive Mascherano’s penalty. Lol. If you can’t see that Higuain forced their back line to make countless long ball mistakes via pressing, that his horizontal runs made space for Messi that he didnt have without him there previous matches, and that him dropping deep to mid and help build up play took a huge load off Messis shoulders (and banega, etc).. then you dont know futbol. Yes, he had two great opportunities and could have done better.. but those are blemishes to a good collective performance. Have faith. Kun is more clinical, bur Higuain is more involved.. pick your poison. The truth is however that Messi scores more easily when pipita is there to move the ball with him. I’m proud, that i was always a Rojo lover in this group. Pause! he is all yours! Same here.. kid is clutch in big games. Lets not forget Rojos assist to Kun.. goal and assist.. best stats for us so far. France is a soft target.We do not need much correction on team. 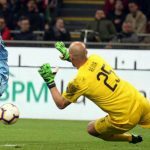 Just keep Caballero away from the game and introduce him during penalty shoot out after 120 minute.Enzo did not look good to me I think Lo celso would be good.From today’s game Messi Taglafico Banega really deserves world cup.Mascherano is not technical but he has determination and calm composure.Rojo were good.I did not see otamendi during the match. Enzo had an unsung first half and especially on Defense. He was solid through 53 minutes. When Nigeria scored he and the rest of the team panicked. Then as the rest of the team steadied themselves Enzo (whose fitness is a little behind the rest) ran out of gas by the 60th minute. It was a good decision to swap Enzo for Pavon. I agree.. enzo masch banega was balanced… Enzo helped cover with masch and was skilled enough to help banega. If we play banega we need another mid to help masch do the dirty work, which enzo does excellent. He does gas out though.. and he is carrying an injury. I also want to see Locelso in his place.. at the very least subbed in by second half. Today the seniors show the youngsters how to play, how to keep fighting. Just like how lioness teaches their children how to hunt. It is a very valuable lesson for the youngsters. Most youngsters can’t perform well under pressure. Today several youngsters (Dybala, Lo Celso) got to watch it from the bench, which will be valuable for them. Take these youngsters slowly, bring them back slowly to the team. These youngster have very few caps and 0 goal and 0 assist (except Pavon who had a couple of assist for Argentina already). It is not smart to trust them for important matches. They will have their time. Today their roles is to watch how the senior plays and do all the dirty works when the coach plays them. They will bring that experience to the World Cup 4 years from now. Just like Messi when he started his World Cup in 2006. He wasn’t a key player, he was a role player. He was there mostly to watch Tevez, Crespo, Riquelme, Saviola, Cambiasso etc. Bring the youngsters slowly. And remember, they WILL HAVE THEIR TIME. Btw, I think Meza has very weak mental. He can’t play under pressure. It is very noticeable. 1. Pavon should be our 12th man (first man off the bench) and MUST BE ON THE RIGHT not left. 2. 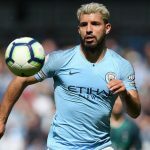 Aguero or Higuain must be the 13th man, one of them must play important role, either substituting each other or play together if we need goals. 3. Then the 14th man will depend on the situation, what we need. Just not Meza please. He does not have the heart to play at such competition. Masche is adorable. He does not have the best skills, but he has the heart. Apart from his QUESTIONABLE penalty and some bad passes, this Mascherano is the Mascherano of 2014. Banega was amazing both offensively and defensively. Hope he plays with a chip on his shoulder. He needs to prove to the world that Argentina DO HAVE good midfielders. Rojo is the same kind of Di Maria. Being questioned by many, but almost never disappointed in important matches. This guy has strong heart. Di Maria was great in the first half, but he just got tired in the second half. Maybe the coach already told him to waste all his energy because he would be substituted in the second half. Higuain just needs his finishing back. Other than that, he was a very good teammate today. Against France, he will play against his born country. That will be interesting. Messi was FINALLY showing his leadership today. It was him gathering his teammates at the tunnel at the half time and gave a little coaching to his teammates. Everyone steps up. This is the REAL ARGENTINA. France choose the wrong opponent… The giant has been awaken. I hope Sampaoli won’t change the winning team at all. Keep the same team. This is the core of the team. Nice wrtiting, agree almost all your points. And no the 14th shouldn’t be dybala. Huigain almost cost us, AGAIN!!!. But seriously we need to improve defense and Mascherano and Huigain are slower that 1000 yrs old grandma. Can we fuse Aguero and Higuain? Higuain works hard but doesn’t create or score, while Aguero doesn’t work as hard but scores. I don’t think Higuain will be scoreless always. He had that slump for Juventus in the beginning of the season too this year, then he scored like 13-14 goals in 10 games or something. The fact that we have both Higuain and Aguero is positive to me as they both are friends. They know their roles. My vote vs. France: Keep the winning team. Sampaoli has a bad habit of keep changing team. Don’t let him do that. And more importantly, don’t make Messi upset again. I don’t agree with you on many things. but, yes changing team creates confusion. although I dont trust him I Higuain doesn’t get obsessed with scoring and let’s it come naturally if he plays. maybe he scores in the final. Don’t worry man, those negative people are not real fans. They just like Argentina league only. They don’t care if Argentina do well or no, they just want their favorite players to play for Argentina even if that would make our team worse. In Argentina there are many fans like that. Remember Boca fanatics who always wanted Tevez to play for Argentina. They would boo Argentina if Argentina don’t call Tevez. They are not fans of Argentina at all. The senior players say it that the real Argentina fans will be at the World Cup. 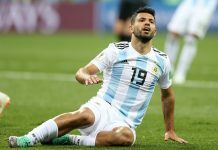 Hey I made tons of negative comments and I stand by them, Argentina’s display against Croatia was nothing short of embarrassing and it most certainly deserved criticism. True fandom isn’t about kissing the players’ butts and calling it ice-cream but rather providing praise and criticism when they’re due, all the while supporting the team to the very end, win or lose. I have been an Argentina fan since 1982. I am 44 years old. I have been in this site for 7 long years. Before that I was in worldcupblog.org (some more are from there) for 6 years. WE NEVER BROUGHT THE SITE DOWN. THIS TIME WE DID IT. IT TELLS ME WE CARE. IT TELLS ME WE ARE TOGETHER. IT TELLS ME WE DID NOT LEAVE GOING GOT TOUGH. BRING IT ON THE WORLD. LETS BATTLE FOR OUR LIFE NOW. Yup worldcupblog too. Great to be Argentine fan! Iheanacho didnt give any trouble but surely Ighalo did in the 2nd half. We have seen he cant handle physical players in the game against iceland. Now wait till Giroud taking him for a walk on saturday. Mentioning Rojo. This game just prove why I can’t have football discussion with a lot of poster here..
De Gea is overrated after a single mistake ( I don’t what a keeper could do against those Morocco shots last night)..
You always bring “positive energy” to us Kid. You are a true fan. I notice a lot of people don’t like you here, but now I realize that because they are not Argentina fans. I am big fan of kid, like his comments which most of the time positive unlike some hater who always spread negative. START PAVON ON THE RIGHT! I just wanna say one thing. WELCOME BACK THE REAL ARGENTINA! congratulation to all fans !